The Lipitor injury attorneys at the Drug Law Center are ready to handle your defective cholesterol drug lawsuit if you have suffered serious side effects of the statin medication. Lipitor is an atorvastatin that has been proven to be highly effective in lowering bad cholesterol levels and raising good cholesterol levels in the bloodstream when used concomitantly with an effective proper diet. Like all statins, Lipitor works because it can reduce the liver’s production of cholesterol. However, like all statins, Lipitor has serious side effects that include memory problems, confusion, weakness, tenderness, unexplained muscle pain, nausea, itching, stomach pain, dark urine, loss of appetite, yellowing of the eyes or skin (jaundice), and clay-colored stools. As a result, many patients have questioned the safety of Lipitor in its daily use to lower cholesterol levels. For over a decade, plaintiffs have filed Lipitor lawsuits against Pfizer claiming the company failed to warn patients, doctors, and the public about the potential severe side effects caused by taking the drug. Lipitor, the cholesterol-lowering drug, is still considered the best-selling medication in all of pharmaceutical history. The statin proven effective at lowering bad LDL cholesterol was first available in the medical marketplace in early 1997. While the billion dollar a year cholesterol-lowering industry already had three competitors, a study conducted in 1996 revealed that Lipitor was dramatically better at reducing bad cholesterol levels compared to other statins. Nearly 14 years later, Lipitor generates annual sales totaling more than $125 billion for Pfizer Inc. The hazards of high bad cholesterol levels were just beginning to be recognized in the early 1980s when the epidemic of obesity and onset diabetes were changing the views of an aging population. Back then, doctors recommended patients to eat healthier in the hopes of preventing a heart attack from occurring. During the same time, small time drug making Warner-Lambert, creator of Lipitor, had been successful at making and marketing Benadryl allergy medicines, Listerine and Halls cough drops. Back then, Merck and Company was selling Mevacor and Bristol-Myers Squibb crowded the medical cholesterol marketplace with Zocor. This is when Pfizer partnered with Warner-Lambert to assist in funding the late-stage tests and clinical trials to get approval by the FDA, which occurred in 1997. By 2012, the Food and Drug Administration was warning the general public and doctors that the Lipitor statin medication had a direct correlation with the increased potential risk of developing diabetes. The following year (2013), 56 lawsuits were filed against Pfizer with plaintiffs alleging that they had developed diabetes after taking the medication. In 2014, most Lipitor diabetes claims were being consolidated into multidistrict litigation in front of one judge in the South district of South Carolina. By 2015, a federal judge set the first trial date to hear the initial MDL case. However, the following year, the federal judge granted a motion filed by Pfizer to exclude expert testimony presented by the plaintiffs. Today, many of the Lipitor diabetes lawsuits are heard in front of the U.S. Court of Appeals for the Fourth Circuit, where the plaintiffs hope to see a successful resolution to their cases. Lipitor has been classified an atorvastatin that is designed to reduce cholesterol levels in the bloodstream. This is done by minimizing the body’s ability to produce cholesterol in the liver. It is effective because it inhibits a specific enzyme (3-hydroxy-3-methylglutaryl coenzyme) that the body requires to produce cholesterol. The medication is designed to lower LDL bloodstream cholesterol levels can reduce the concentration by up to 50 percent. 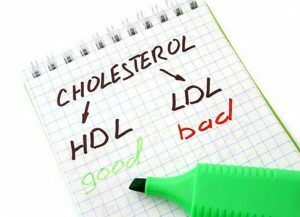 In addition, the medicine reduces triglyceride levels while increasing good HDL cholesterol concentrations. The makers of atorvastatin recommend using the medication in combination with alterations in lifestyle habits and a healthier diet. When taken correctly, the concentration of cholesterol levels in the body’s bloodstream will decrease because the statin will competitively inhibit the production of the needed enzyme while reducing cholesterol rates at the same time. NOTE: Patients are instructed to avoid drinking grapefruit juice and consuming grapefruits while taking the drug because it can decrease the efficiency of the medication working in the bloodstream. Doctors recommend that patients should avoid taking Lipitor if they suffer from hypersensitivity, allergies, muscle weakness or pain, a thyroid disorder, or active liver disease. In addition, pregnant women or those wishing to become pregnant should avoid taking the statin drug. Usually, this drug is only administered to women of childbearing age when the potential of becoming pregnant is unlikely. Additionally, nursing women should avoid using the drug or discontinue it while breastfeeding their infant. Patients who consume more than two alcoholic beverages every day should avoid taking Lipitor because it can potentially increase triglyceride levels and increase the potential risk of developing liver damage. In 2012, the Archives of Internal Medicine published a study indicating a direct correlation between Lipitor use and the risk of diabetes in post-menopausal women. The study was the result of 12 years of research collecting clinical data. More than 150,000 women of postmenopausal age (5379 years old) participated in the study. It was determined that these women had a 48 percent greater potential of developing type II diabetes. This was compared to women who did not fall within the same risk bracket. The conclusive results of the study also involved the consideration of known factors that increase the potential for developing diabetes, including minimal physical activity, obesity, and advancing age. More than 2000 Lipitor lawsuits filed against Pfizer Inc. involving the anti-cholesterol medication have been dismissed by a South Carolina federal judge after allegations that the cholesterol-lowering medication was a direct cause of type II diabetes. An appeal of these cases has made its way to the US Court of Appeals for the fourth District. However, many more lawsuits have been filed against the drug maker claiming that in February 2012, Pfizer began warning consumers of the potential increased risk of developing diabetes and high blood sugar levels. Plaintiffs in these cases are alleging that the drug maker was aware, or should have been aware, of the risks of using Lipitor and the development of diabetes. Instead, they allege that the company marketed the product is being effective and safe. The Lipitor lawsuits have been consolidated and are now a part of an MDL (multidistrict) litigation case centralized in front of one federal judge in the District of South Carolina. An initial Lipitor lawsuit was filed in June 2006 by an injured plaintiff claiming that the cholesterol-lowering medication caused debilitating, long-lasting nerve and muscle problems along with memory loss. In a separate lawsuit, a 60-year-old Atlanta resident made claims that his use of the cholesterol-reducing drug Lipitor caused significant damage to his nervous system after taking the medication for three years. At that time, he felt a burning sensation in his hands and feet and suffered bouts of memory loss and fatigue. In a separate case, a 47-year-old New York resident discontinued the use of the drug because he was experiencing significant and debilitating muscle damage along with ongoing muscle loss. Pfizer has gone to great lengths to minimize the financial devastation of being involved with hundreds of Lipitor lawsuits. Their efforts hope to guarantee continuing sales of the cholesterol-lowering medication that generates approximately $12 billion for the company in revenue every year. The ongoing annual sales have made the product the world’s best-selling drug with profits that far exceed the competition that include Zocor, Mevacor, Crestor, Lescol, and Pravachol. Only the cholesterol-reducing statin Baycol has been removed from the medical marketplace. This is because it was determined in 2001 that the drug caused significant muscle damage that far exceeded the common adverse reactions all of its competition. Atorvastatin, Lipitor’s generic version is subject to a separate recall then Lipitor. The generic product is manufactured by Ranbaxy Pharmaceutical who makes claims that taking their Atorvastatin product does not pose a safety risk and that their recall was a precautionary measure when small specks of glass were reportedly found in contaminated pills. In March 2014, Ranbaxy recalled more than 64,000 bottles of Atorvastatin after pharmacists in the United States found 20 milligrams pills in a sealed container labeled as 10-milligram pills. The mounting complaints that the company faces have hurt its quality control safety measures. The Food and Drug Administration banned the company’s products manufactured by the India-based drug maker when an inspector found a tablet with an embedded human hair. While the recall was substantial, the FDA classified the recall as a Class II. This means there are likely not to cause unexpected wrongful death or severe adverse reactions. Seeking Compensation from the Lipitor Injury? If your doctor has diagnosed you or a family member with diabetes that might be linked to taking the cholesterol-reducing medication, the Lipitor lawsuit injury attorneys at Drug Law Center can assist in your litigation against Pfizer. We pursue all product liability cases using a contingency fee arrangement and are currently accepting claims involving Lipitor-related Type II diabetes injuries. This “no win/no fee” guarantee ensures you will never pay any of our attorney fees until we have obtained adequate financial recovery on your behalf. However, filing a claim or lawsuit in a timely manner is essential to ensure important statute of limitation deadlines do not expire. Our reputable personal injury attorneys are ready to discuss your potential claim for financial compensation as soon as possible. Let us begin the process of successfully resolving your lawsuit through an initial complimentary case review.